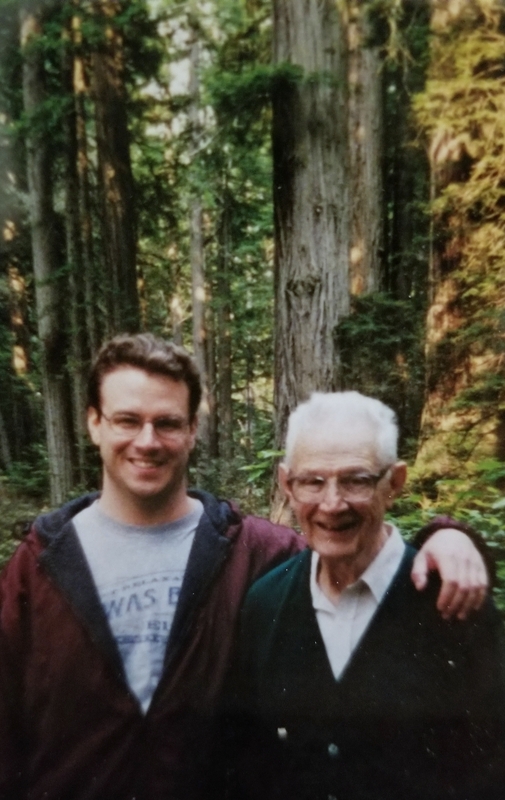 This is a photo of my father, Carnell, and I at Redwoods State Park in California. He was a kind, gentle man and lover of the great outdoors. He instilled the love of the natural world in all five of his children. He loved gardening, observing wildlife, and was always up for a good hike. Two songs come to mind when I think of my Dad, “Mother Nature’s Son” by The Beatles and “I Got A Name” by Jim Croce. Both of those songs remind me of the man who gave me so much and taught me to love and respect our amazing planet. 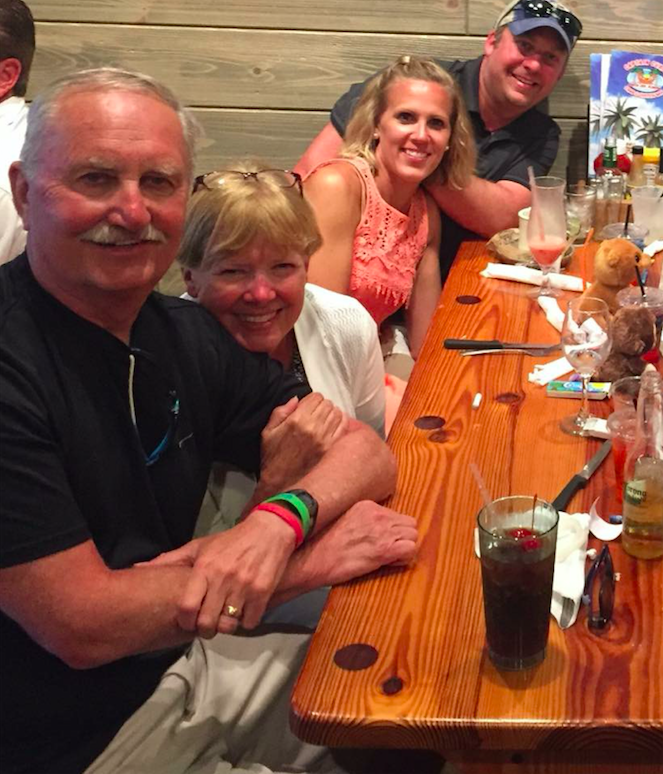 Picture features my dad, mom, wife, and me at one of our favorite restaurants, Captain Curt’s. “Glory Days” by Bruce Springsteen always reminds me of my dad. The year was 1985, and the Born in the USA tour was at Market Square Arena in Indianapolis. I absolutely loved it. My ears rang for days! I recall riding in my dad’s pickup truck and listening to country music. The AM radio was blaring some old country station between the news and commodities updates. Pretty much any-aged country song reminds me of dad. And while dad was taken from us long before we were ready, I visit his memory through music. “Love Without End, Amen” by George Strait reminds me of how my father accepted and loved his children regardless of circumstances. “Live Like You Were Dying” by Tim McGraw was a bit of an anthem for him after being diagnosed with melanoma. It reminds us to live life to the fullest and take advantage of the present. “The Sun Song” by Michael Tolcher has always felt very uplifting and moving, to me, in a time of transition. It’s the song I pick each time a holiday passes that I would have spent with him (if he were still with us). 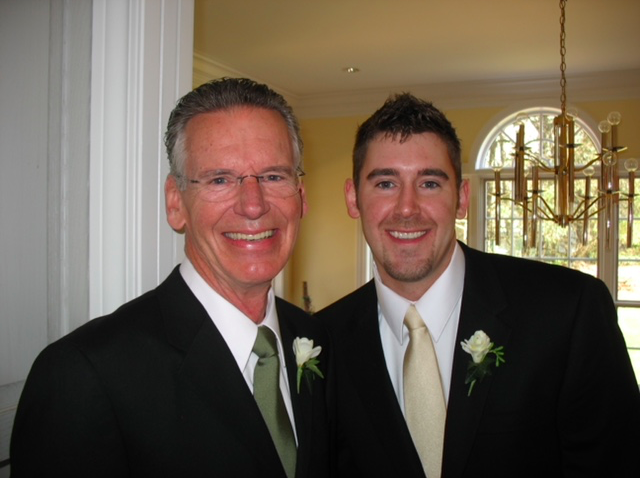 Here is a photo of my dad I on my wedding day. 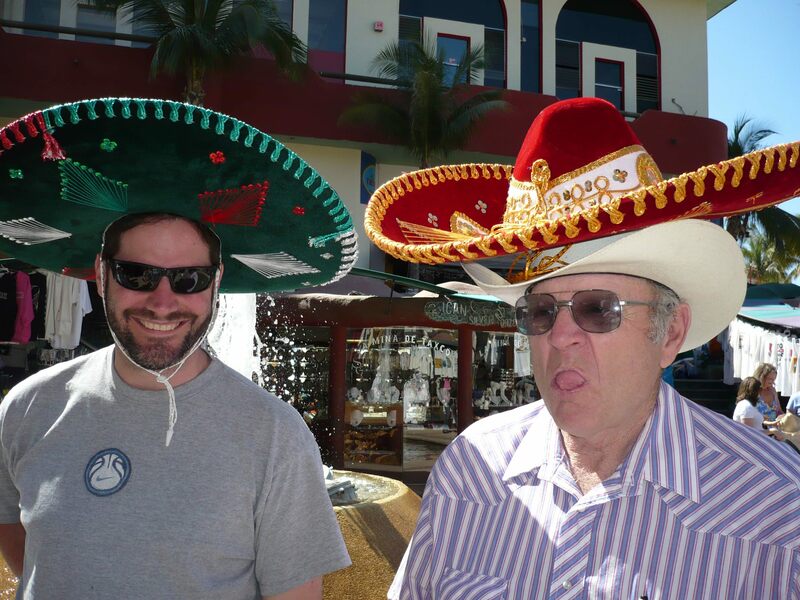 There are so many songs that remind me of my dad, but two bring my dad to mind and usually with a laugh. My dad would blast John Mellencamp’s “Love And Happiness” to get my sister and I out of bed. It always scared the crap out of us when the intro would play, but it worked. The second song is “Do You Feel Like We Do” by Peter Frampton. While most people love that song, I on the other hand cringe when I hear it, because it was used as a form of punishment. We were coming back from the Carmel pool and gave my dad sass for making us leave. We were pulling into the garage and the loathed song played. My dad made me sit in the car and listen to the song in its entirety – talk box thing and all. Worst punishment for an 8-year-old! It’s a family joke now and something we always laugh about. Do you have a favorite song that reminds you of dad? Tell us what it is and why!